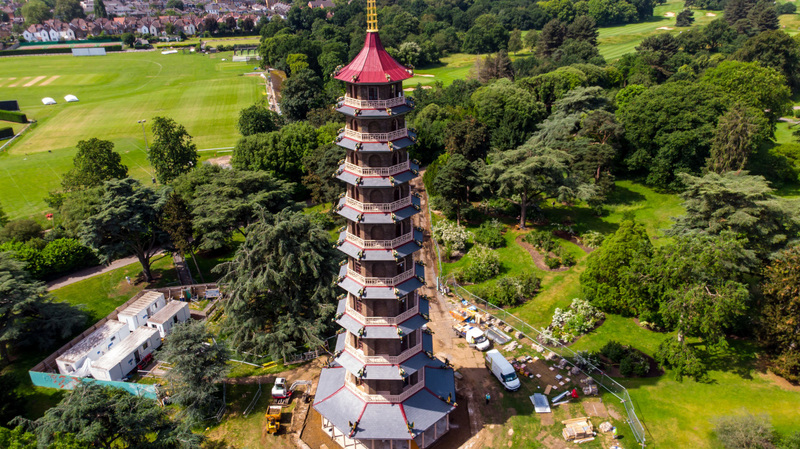 This was a restoration of the historic 163ft tall Great Pagoda that sits in the Royal Botanic Gardens at Kew. The original building was designed by Sir William Chambers and erected in 1763. 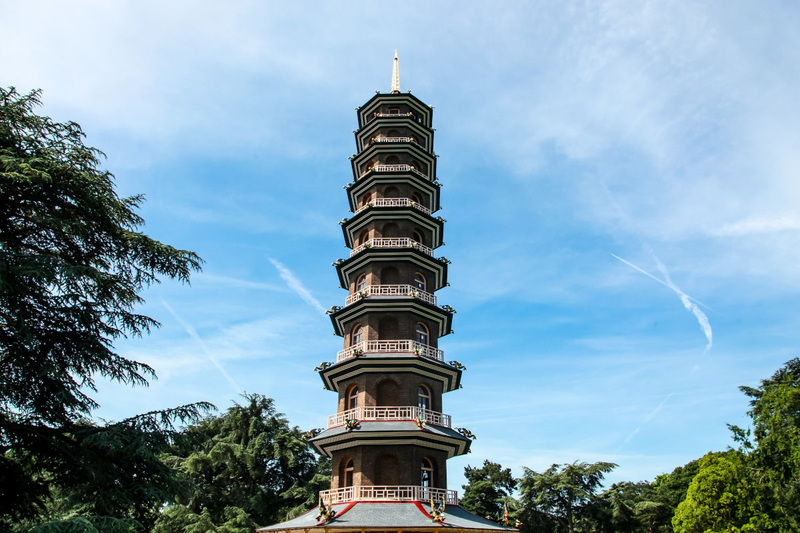 Each of the ten storeys has a natural slate and copper sheet roof. 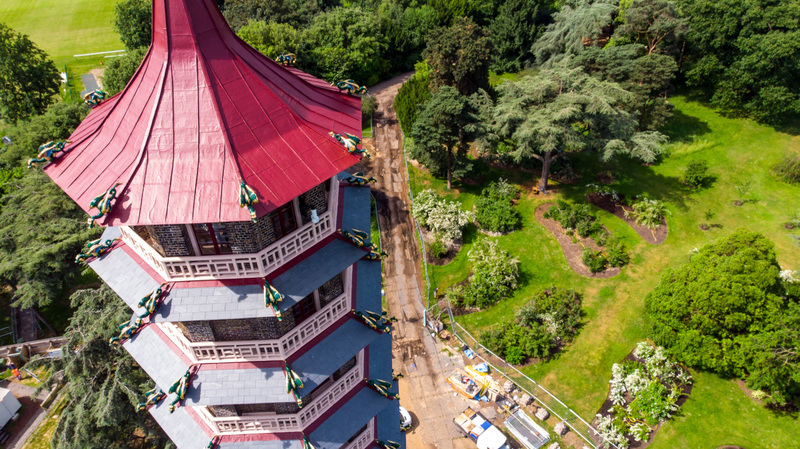 The top cupola roof was entirely covered with sheet copper whilst the nine octagonal canopy roofs below the cupola were covered with natural Welsh slate and sheet copper cappings to each of the hips. 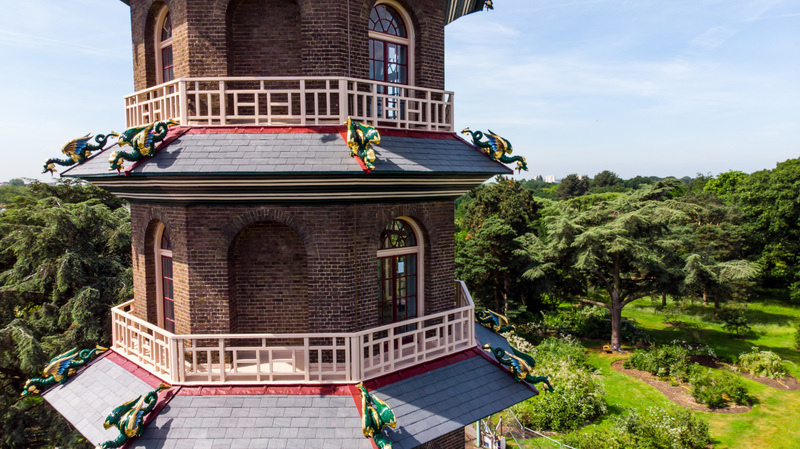 All dragons had to be secured and fixed to stainless steel brackets, that would hold each dragon in place through time and extreme bouts of weather.